At Crosshall Marine we offer the full range of marine and boat maintenance for river cruisers and fibre glass craft. Experienced staff are here to assist you with all your needs, from minor repairs to complete boat restoration and refits. Onsite lifting equipment for boats upto 10 tonnes, a slipway and boat hardstand area. 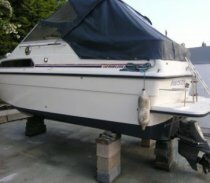 We can undertake all aspects of boat maintenance and improvements. 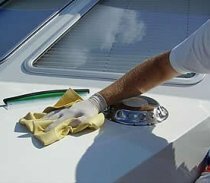 We pride ourselves on our standards and you can rest assured that your boat is in the best hands. Gel-coat cut back & polish. Boat window replacement and refurbishment. Boat joinery and bespoke woodwork. Engine and outboard servicing & repairs.